The following information is intended to answer any questions or concerns you may have regarding Non-Surgical Spinal Decompression Therapy and the treatment of herniated or bulging discs, back pain, and pain in the legs known as sciatica. A consultation and evaluation with Dr. Cesca is the best way to determine if this treatment option is the best for your health needs. Decompression Therapy is a modern, high tech, non-surgical traction procedure used to treat disabling low back, neck, and radiating leg and arm pain. 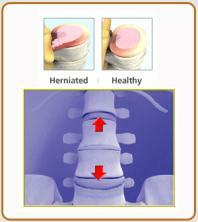 This type of therapy is very successful in relieving pain associated with disc herniation and degenerative discs. By significantly reducing internal disc pressure, spinal decompression promotes retraction of the herniation back into the disc and promotes intake of fluids, oxygen and other substances necessary for healing the disc. This therapy can render effective pain relief that enables most patients to return to a more active lifestyle. 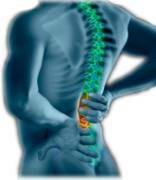 Decompression Therapy treatments are usually given in a series of 10-20 treatments. Treatment sessions usually last 12-30 minutes. Your first visit will last about 45-60 minutes. Dr. Cesca will ask you specific questions about your condition. He will review all of your MRI’s, X-rays and past medical records, so please bring those in with you. Dr. Cesca will also demonstrate how the table works so that you can understand how decompression can help you. If you qualify for care, Dr. Cesca will sit down with you and go over a treatment plan and finances either on your first visit or the next. Dr. Cesca will go over several payment options to make care affordable to you. Although some patients are very fortunate and experience significant improvements in their low back or neck condition almost immediately, most patients will follow a course of gradual improvement. In general, most patients begin to feel improvements by the second week (visits 4-8). A few patients may report some soreness following the first couple of treatments. This is to be expected (movement in the damaged area may not have occurred in a long time). Isn’t Decompression just a fancy name for traction? The use of traction has been around for thousands of years with varied results. Decompression Therapy is a specific combination of traction pulling force, angle, patient position, time and equipment engineering. 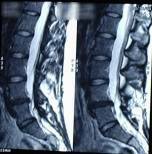 Decompression of the spinal disc is an event achieved by utilizing specific, individualized traction protocols. The award winning Triton® DTS computer used at our office is the key. It monitors and controls the variations in the traction pull allowing for spinal decompression of the disc and eliminating muscle guarding that is typical in conventional traction devices. The pre-programmed, condition-specific patterns for ramping up and down the amount of spinal distraction allows for higher levels of disc decompression and disc rehydration. What is the cost of Decompression? Without insurance coverage, our fee for an office visit that includes spinal decompression treatment is now only $50, which means the total cost of a treatment program can be literally thousands of dollars less than some other offices offering the exact same service and technology. Your total cost will depend upon your condition, treatment plan and your payment arrangements. All financial responsibilities are discussed prior to the start of any treatment program. Most insurance policies cover a portion, or all, of a treatment program. Bring your insurance card during your consultation and we will be glad to check your benefits for you. Other therapies including ice, exercises, ATM2, and chiropractic adjustments will be billed according to your insurance policy. Dr. Cesca is a participating provider for BCBS, Independence Blue Cross, Personal Choice, Amerihealth, Aetna, Medicare, and Keystone HMO. Dr. Cesca also works as an out-of-network provider for many other insurance carriers such as Cigna and United Healthcare. How do I qualify for treatment? Dr. Cesca will personally evaluate your condition to determine if you are a candidate for this special treatment. If you have X-rays, MRI’s or CT scans please bring them with you, along with any accompanying reports. After determining if he can help you, he will explain your treatment options in detail, what is included in your treatments, add up the total investment, and explain your insurance benefits. Are there conditions where Decompression is not indicated? Pregnancy, Prior lumbar surgical fusion with metal instrumentation, Metastatic cancer, Severe osteoporosis, Severe Spondylolisthesis, Compression fracture of lumbar spine below L-1, Pars defect, Aortic aneurysm, Pelvic or abdominal cancer, Disc space infections, Severe peripheral neuropathy, Hemiplegia, paraplegia, or cognitive dysfunction, Cauda Equina syndrome, Tumors, osteod osteoma, multiple myeloma, osteosarcoma, Infection, osteomyelitis, meningitis, virus, and HNP (sequestered/free floating fragment). However, every patient is evaluated on an individual basis. In almost all cases the treatments are painless, in fact most people notice a reduction of pain during treatment. We encourage patients to relax or take a nap during their treatments. A few patients may experience soreness following the initial treatments as the body adapts to the changes. Although it is difficult to predict the future, experience has shown that most patients do find long-term relief or effective management of their pain when they complete the entire recommended program of treatments. Regular home exercise and periodic visits to our clinic may also help in maintaining your spinal health and reduce the probability of re-occurrence.